I usually try to keep a week or so ahead with blog posts. Lately, though, I’ve been in the middle of a big project at my real job* and there hasn’t been time to get out and make photos to feed these posts. And I’m having internet issues at the house**. And, I am barely able to stay a half-hour ahead of the blog. So, in a bit of desperation, I dug some stuff out of the archives, things that for whatever reason didn’t make the cut the first time around. I am calling it the Week of Randomness, and the first one is from my 2015 trip to Nova Scotia. *I know it may be hard to believe that blogging is not actually my real job. But it’s not: I have a whole other gig that has a paycheck and benefits and an office and Important Projects with irrevocable deadlines. In other words, the exact opposite of the blog situation. **The main issue is that the internet is no longer working. ***These boats were next to this building. 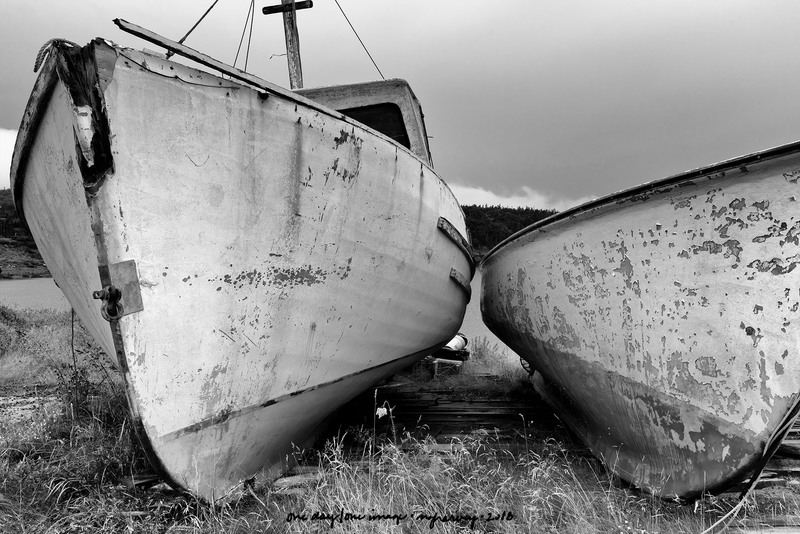 Posted on May 21, 2018, in Photography and tagged 365 photo project, black and white photography, Boats, learning to see, melinda green harvey, monochrome, Nova Scotia, thoughtful seeing, travel photography, Whale Cove Nova Scotia. Bookmark the permalink. 8 Comments. So…I NEARLY got less busy, but in the past few days picked up three new (and big) projects. I guess it’s good to be needed, right? Job security and all that.